Terminally ill California residents will be able to legally end their lives with medication prescribed by a doctor beginning June 9. 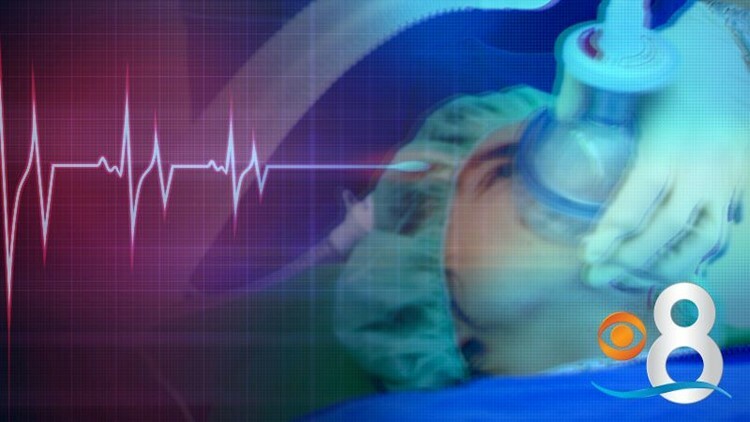 SACRAMENTO, Calif. (AP) — Terminally ill California residents will be able to legally end their lives with medication prescribed by a doctor beginning June 9. State lawmakers adjourned a special session on health care Thursday, starting the 90-day countdown to physician-assisted suicide. The law approved last year made California the fifth state to adopt the practice, but patients were left in limbo until the session ended. The bill passed following the heavily publicized case of Brittany Maynard, a 29-year-old California woman with brain cancer who moved to Oregon to legally end her life in 2014. Elizabeth Wallner, a Sacramento resident with stage 4 colon cancer that has spread to her liver and lungs, said she is relieved a date has been finally set. "It gives me a great peace of mind to know that I will not be forced to die slowly and painfully," Wallner said in a statement provided by Compassion & Choices, a right-to-die advocacy group that worked closely with her and others to campaign for the law. Opponents say it could lead to premature suicides. Supporters say they do not know how many terminally ill patients have been waiting for the law to go into effect. One prominent advocate, Christy O'Donnell, a 47-year-old single mother with lung cancer who sued the state to demand the right to life-ending medication, died last month at her home north of Los Angeles before getting the option. Marilyn Golden, a senior policy analyst with the Disability Rights Education and Defense Fund, said the law doesn't go far enough to protect people from being coerced into a premature suicide by an abusive caregiver or heir. It also could allow people denied medication by one doctor to shop around for the lethal drugs. The California Catholic Conference, which opposed the law, said it would increase support for the dying. "Quality palliative case, spiritual and emotional support and a respect for our human dignity are the compassionate response — not a lethal dose of drugs from a physician," Executive Director Edward "Ned" Dolejsi said in a statement. Democratic Sen. Bill Monning, who helped author the bill, said patients or their family members have been contacting his office daily since Gov. Jerry Brown signed the legislation last October. "It's obviously a great sense of achievement and historic achievement for California, but it is tempered by the loss of great people who fought to get the billed passed," he said. California's law includes strong protections for both patients and physicians, Monning said. Religious institutions, like Catholic hospitals, can opt out and ban their doctors from participating in any assisted deaths. Patients must have two separate meetings with a physician before a doctor can prescribe a life-ending drug. If there is any doubt over the person's mental capacities, physicians are required by law to refer the patient to a mental health care provider. Certified translators must also be required for patients who are non-native English speakers.